XpertMartTM was designed from the get-go to be a system for large chains of stores since one of it�s main advantages is balancing inventory between stores, avoiding stock-outs and transferring merchandise from low-demand stores to high-demand stores. This inventory optimization invariably depends on a precise transmission or synchronization of data between stores and a main office. Many systems promise a reliable communication of data in theory, but in practice, for any number of reasons, the transmission is inefficient, complicated or just plain flawed. XpertMartTM�s communication process, XpertSynchTM is truly novel but simple. The synchronization is configured through our own task manager to take place �n� number of times during the day and, importantly, does not interfere with the operation of the point of sale of the main office. 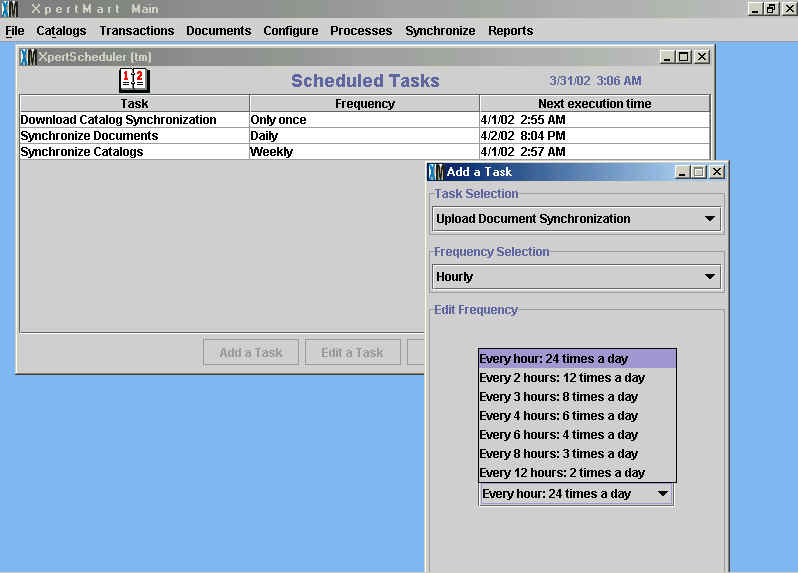 Once the XpertSynchTM module is configured, the user does not need to pay attention to the process since it is an automatic and intelligent process. Only changes and new data are transmitted. If there are any interruptions to the communication, XpertSynchTM has a resume function that restarts the transmission at the point it left off. 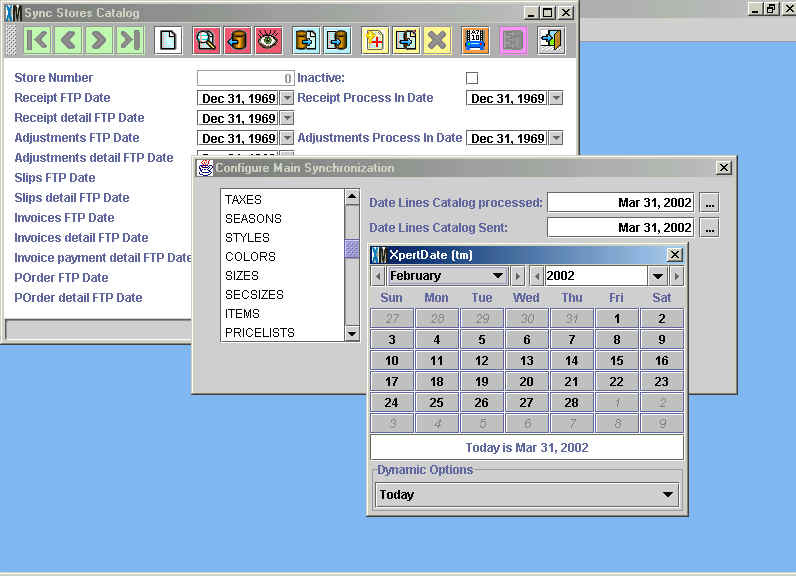 XpertSynchTM uses dlm�s (date last modified) to control transmissions and allows for the regeneration of data without danger of duplicating information.